NUU-CHAH-NULTH VOICES, Histories, Objects &Journeys is an anthology produced to complement Out of the Mist: HuupuKwanum—Tupaat, Treasure of the Nuu-chah-nulth Chiefs, an exhibition mounted in April 2000 by the Royal British Columbia Museum in conjunction with the Nuu-chah-nulth Tribal Council. Alan Hoover has gathered essays written at various times over a number of decades and grouped them into the four parts of the tide. Part 2 (“Histories”) again seeks to balance histories, but this time by offering an eclectic mix ranging from an examination of unpublished material relating to James Colnett s expeditions among the Nuu-chah-nulth in 1787-88, which concludes that the contact process was “a complex series of interactions shaped by differences in class, status, gender, ethnicity and language” (82) “to a contextualization of the face paintings taken from Edward Sapir’s Notes on Secret Rituals. Also in this section are: a reassessment of the early historic period using the logs of Cook’s 1778 expedition, along with the archaeological record to posit that “traditional subsistence and settlement patterns changed early and dramatically” in Nootka Sound (93); an essay in which the continual renewal of houses – new roofs, new posts, and so forth – is read as a metaphor for “understanding change and continuity in Nuu-chah-nulth society” (107); and Native voices heard in a short piece explaining a memorial potlatch and in a working translation of the legendary history of Tsisha?ath. The third part of this collection has greater cohesion than the last. The thread “art” binds all seven essays; the editor, in entitling the section “Objects,” has neatly sidestepped the problem of the use of the term “art” to describe the works discussed. The opening interview between anthropologist Charlotte Townsend-Gault and cultural historian Ki-ke-in (Ron Hamilton) lays out the issues surrounding “art” and closes with Ki-ke-ins suggestion that a new vocabulary is needed to “understand what my ancestors created from their point of view” (229). 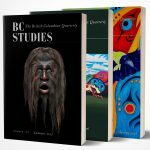 This essay provides the reader with the foundations for understanding succeeding essays on art in the archaeological record and at the British Museum, visual symbolism, the Mowachaht Whalers’ Shrine, the Nuu-chah-nulth canoe, and Ellen Curley’s Hat. The closing section (“Journeys”) contains three very personal statements by Nuu-chah-nulth artists: Tsa-qwa-supp (Art Thompson), Joe David, and Tim Paul. Each talks candidly about his personal and artistic journey; Art Thompson’s account of the damage done by the residential school system is particularly gruelling. The intimacy and humanity of these essays take the reader inside Nuu-chah-nulth experience and culture to an extent not so fully accomplished by the earlier pieces; if this book is intended for a general, as opposed to an academic, audience, these statements might have been better placed at the beginning of the work. Hoover’s objective, to “focus on a number of facets of Nuu-chah-nulth history and culture in greater depth and scope” than the exhibition catalogue, has been met in this collection. The task of organizing such a work is unenviable, but, in general, Hoover has succeeded in creating focus, particularly in the last two sections. The essays under the rubric “Histories” work less well as a group; one is drawn to the conclusion that, armed with a selection of works which met the overall criteria for the book, a catch-all category had to be found for them – a minor cavil, particularly as an alternative arrangement is not immediately apparent. Nevertheless, this book represents an important contribution to Northwest coast indigenous studies.